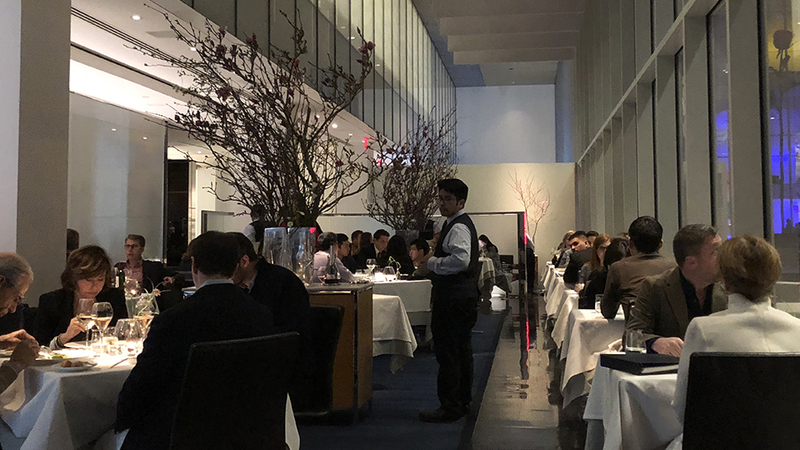 The Modern’s beautiful interior space and garden views are very fitting for a restaurant housed within the Museum of Modern Art. And just as fittingly, it is one of NYC’s best dining spots. There are fewer places in New York City I enjoy eating in more in than The Modern. 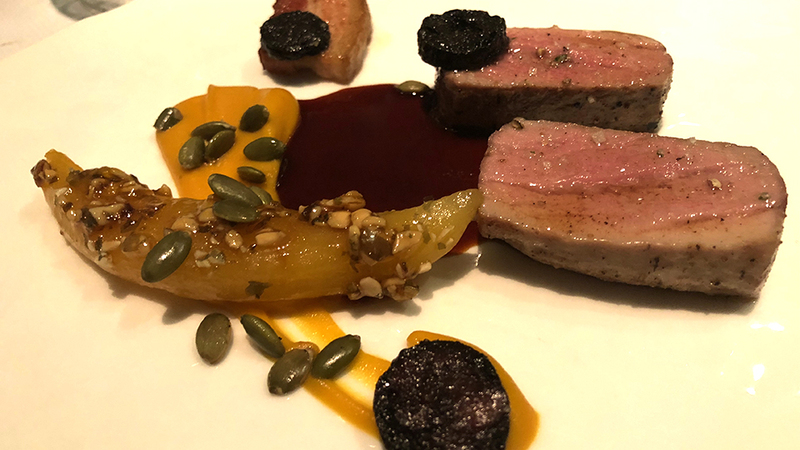 The food is exceptional, the surroundings are beautiful, the service is highly (and I stress highly) professional, the wine list is outstanding. I live in Europe and am fortunate to eat multiple times a year in the world’s best restaurants. In evaluating The Modern by international standards, the conclusion can only be that it is not just one of New York’s top five or six spots, but a truly world class restaurant that ranks with the likes of Arpège, El Celler de Can Roca, Dal Pescatore, Eleven Madison Park, Guy Savoy, The Ledbury, Mirazur, Noma, Osteria Francescana, Pierre Gagnaire, Steirereck and others. Menu choices are not especially copious but instead quite focused. In my opinion, it is far better to have a short list of appetizers and mains to choose from than long lists of dishes half of which are over-hyped and disappointing. 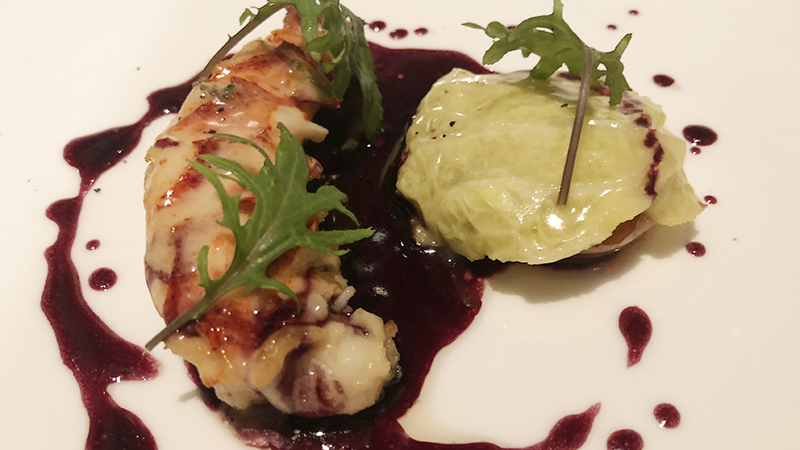 My restaurant guide-writing mentors of decades past might also frown at a certain repetitiveness of ingredients in the menu (chestnut, foie gras) but again, the renditions are so sublime that the sum is more than the individual parts. As things stand today, my most recent meal at The Modern will make my “top ten meals” of the year list easily. The ravioli and the lobster dishes were near works of art. I won’t forget either anytime soon. Another absolute winner, the chicken poached in Champagne is at once a throwback updated with more modern intelligent touches, such as the Meyer lemon. 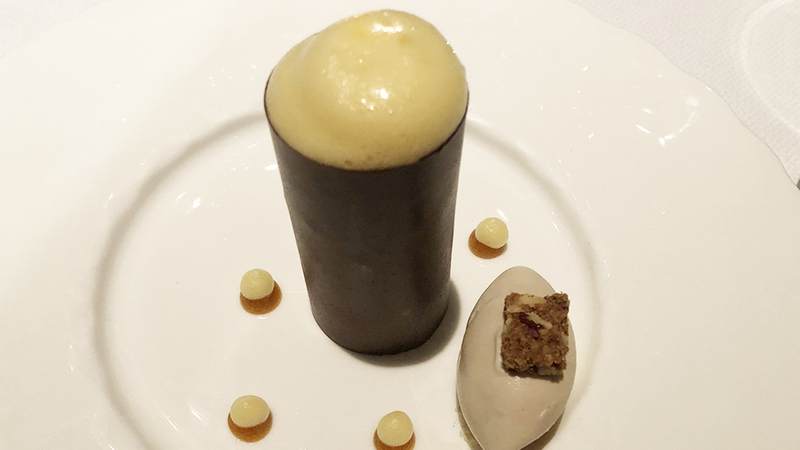 Desserts were just as memorable as the rest of the courses. 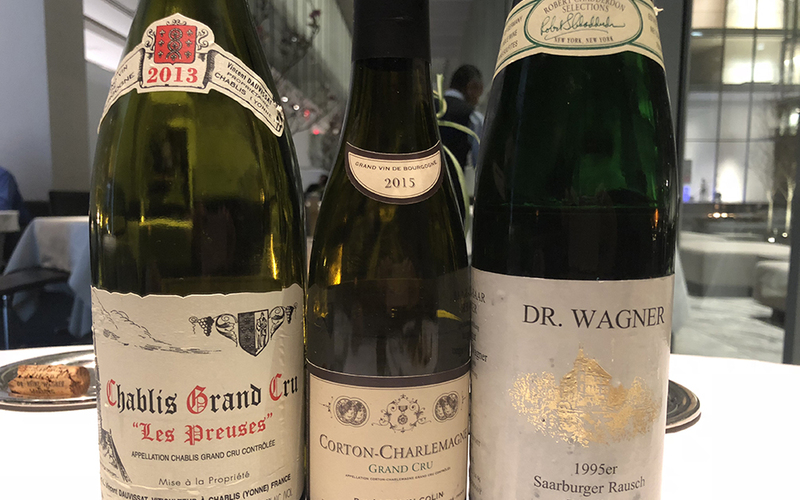 Wine Director Michael Engelmann MS oversees a splendid wine list replete with choices from all corners of the world, peppered with older vintages. The sommeliers on Engelmann’s team are of wine director-level of their own. Barbara Wong, the sommelier on my most recent visit, did an absolutely masterful job. She was polite, knowledgeable, quiet and helpful with suggestions, including steering me towards a producer I really don’t have much experience with at all, Lequin-Colin, which proved right on the money. All three wines I enjoyed on the evening proved stellar. Vincent Dauvissat’s 2013 Chablis Les Preuses is one of my favorite Chablis of all, as I have a particular soft spot for the Les Preuses Grand Cru. Less massive than Les Clos or Valmur, Les Preuses usually offers the most chiseled, precise of all great Chablis drinking experiences, and in the hands of a master like Vincent Dauvissat the experience is most often unforgettable. In fact, the only problem with this Grand Cru is that there isn’t much of it made. As expected, the 2015 René Lequin-Colin Corton–Charlemagne proved a much thicker, richer white wine, with a tactile mouthfeel denoting a gentle, savvy use of oak. It was perfect with the chicken and stood up to the herb roasted pork tenderloin very well too. Clearly, the wine is still in its infancy, but its balance and depth are such that it is easy to foresee a long and happy life ahead for the wine (and those lucky to drink it). I have always been a fan of the Dr. Wagner wines, ever since I literally grew up with them during my Toronto adolescence. In fact, I still own numerous bottles of the 1983 Ockfen Bockstein Auslese from this producer (managing to find them in one of my cellars without going crazy is a different matter, of course). The 1995 Dr. Wagner Saarburger Rausch Riesling Eiswein was simply beautiful, still very young and evolving, and just an absolutely magnificent way to close out a dinner. Blessed by laser beam-like precision of honeyed and mineral aromas and flavors of apple and pear, not to mention a nearly endless finish, it brought a delightful, relaxing evening to a perfect close.